17-March-2007 : Is There An Airline Alliance For Me? Probably……this post requires some end user homework! Do often wonder how you could maximize your frequent flyer miles? Come on, you can admit it. You fly, you open up a frequent flyer account, but can’t seem to accrue enough miles for a vacation. Something I find many flyers ignore is combining miles from airlines that are part of an alliance. For example this does not mean you can take your miles from United Airlines and transfer then to their Star Alliance partner Air Canada, but it does mean that you can rack up your redeemable miles and elite qualifying miles with Air Canada’s Aeroplan by flying United Airlines. Choosing the right airline alliance has a lot to do with where you travel, what you want from your airline and their partners and your personal preference. For years I was loyal to Delta Airlines. My loyalty to Delta kept me at the Delta SkyMiles elite level of Platinum for quite a while. Along with my loyalty to Delta I typically chose to fly airlines that allowed me to gain both redeemable and elite qualifying miles with Delta, obviously this meant most of my flying was on SkyTeam carriers. SkyTeam is a fantastic alliance if you fly extensively within the United States and most of North America. Additionally SkyTeam has a great selection of European carriers. SkyTeam is however quite weak in Asia and the Pacific. With a shift in my travel about a year ago I switched much of my travel to U.S. Airways, which then shifted much of my travel to Star Alliance carriers. 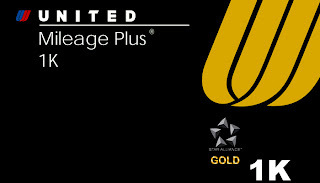 Star Alliance is great for cross-airline benefits once you reach a mutually accepted level referred to as “Star Gold” that is accepted by all the carriers in the alliance. Star Alliance, like SkyTeam has an extensive North American route structure and an extensive European core group of carriers, with excellent connections throughout Asia and the Pacific. One World is an alliance I have always avoided. Many frequent flyers in the U.S. love American Airlines. Many European and global flyers really like British Airways and Qantas. All three are excellent carriers, I however have never liked either American Airlines or British Airways. These airlines, although serving areas I frequent, have never met my personal needs. I also find the domestic and international route options to be not nearly as extensive as I like. Am I a snob? No, just like a lot of options. In the last year I have been playing with new airlines and frequent flyer programs. If you notice, this means I maintained upper level elite status with two Star Alliance carriers and two SkyTeam carriers. The combined minimum travel for these levels of status is 2006 is 225,000 air miles. My travel in 2006, for weddings alone, had taken me extensively throughout the United States, including Hawaii, as well as Canada, England, France, Japan, South Korea and Hong Kong. At the moment I switching much of my travel to probably United Airlines, although I may keep my miles on US Airways and choose to fly United. Flying this way is very easy. One advantage I find to Star Alliance at the moment is reaching the “Star Gold” level allows me to fly with heavier bags with no excess baggage wait, access to elite check in line across all Star Alliance carriers and access to any Star Alliance/Star Gold lounge when flying internationally. I have found it nice to fly through London Heathrow , with my U.S. Airways/Star Gold card, on United Airlines and sit in the BMI Diamond Club lounge before flying out. On the way back I use my US Airways/Star Gold card to quickly check in at United Airlines, go shower at United’s club then hang out in SAS/Air Canada’s London Lounge which is nicer than United’s club. This is a small perk, but it is very nice. By knowing which airlines are in your alliance, as well as affiliated regional carriers or outside carriers that allow you to gain miles, you can effectively build up your frequent flyer miles account for when you want them. I like to fly Virgin Atlantic (VS). Although VS is not a member of any alliance I can attain redeemable miles and elite qualifying miles on my US Airways Dividend Miles account. Additionally by being a Star Alliance/Star Gold flyer I can use VS’s ClubHouse lounge (which at London Heathrow is one of the best lounges anywhere) when flying on VS. If you fly on Alaska Airlines (AS) often (which many do because they are a great carrier throughout the west coast) you can rack up the qualifying miles on Delta Airlines towards your SkyMiles account. When I flew Delta as my primary carrier I often flew AS up and down the west coast out of either Seattle or Orange County. There is no right or wrong answer and I am not really addressing “What Is The Right Frequent Flyer Program For You,” because that is a whole other long drawn out question that can’t be easily answered. What I am trying to do here is address how you can maximize your miles to fill up your miles account while trying to get benefits that might make your travel easier. Each of the airline alliances have detailed web sites. These web sites layout the benefits of flying their carrier. I strongly suggest you read each alliance web site to find out out what is the best alliance for you. What works for me may not be best for you, considering I know many photographers and business travelers who love One World carriers. It may turn out an alliance is not best for you and prefer an independent carrier. If this is the case , sign up for their frequent flyer program and remember to add your FF# to all your reservations!